Reduces turbulence under the vehicle for less drag. Cuts down on wind resistance and creates a clean look. Prevents airflow between hood and bumper and moves air around the cab. Improves airflow from the cab to the trailer. 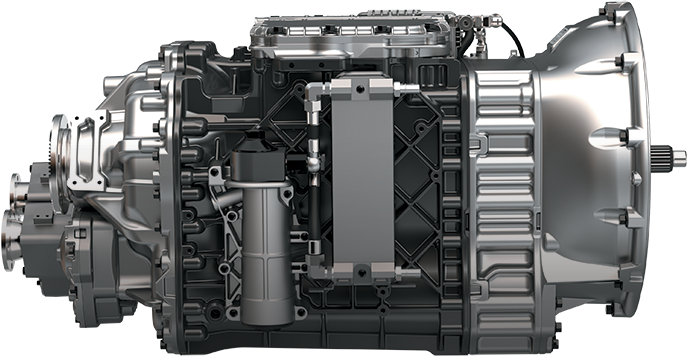 The 3 pieces can be ordered as separate replacement parts for improved serviceability and lower repair costs. 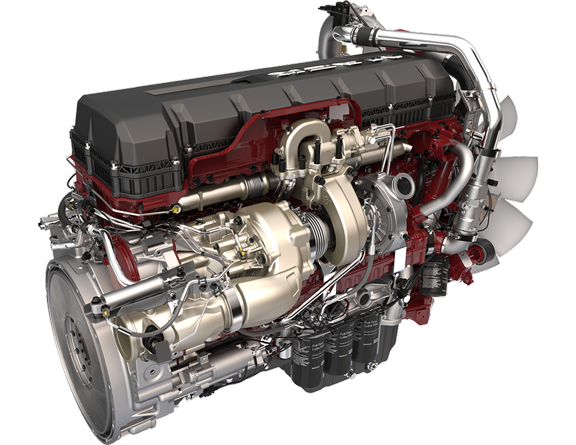 The mounts are spring-loaded to rotate when hit, preventing damage to the cab and lowering parts and repair costs. From bolts to latches, all Anthem components are made from tough, long-lasting materials. LED headlights are 66% brighter, last longer, use less energy and provide better visibility. Engineered for better control and comfort on the long haul, Anthem helps keep drivers fresh and ready to roll. An industry first, allowing more belly room and clearance for entry or exit. 5” full-color digital display provides enhanced visibility and simpler navigation without distractions. 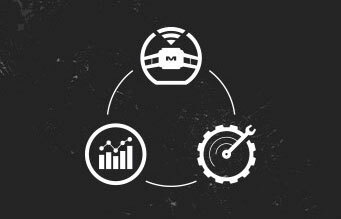 Constant truck monitoring and Pre-trip Assistant, including one-person Exterior Light Inspection, keep an eye out for potential issues before they become real ones. 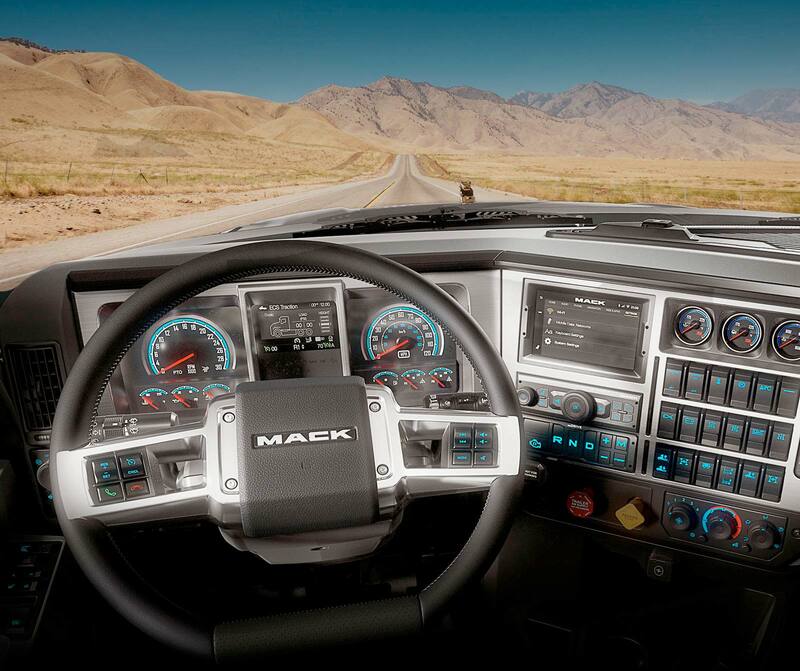 Built to work and designed with purpose, automotive-inspired controls make operating the Mack Anthem™ easy, safe and comfortable. Provide more comfort and control than manual windows. 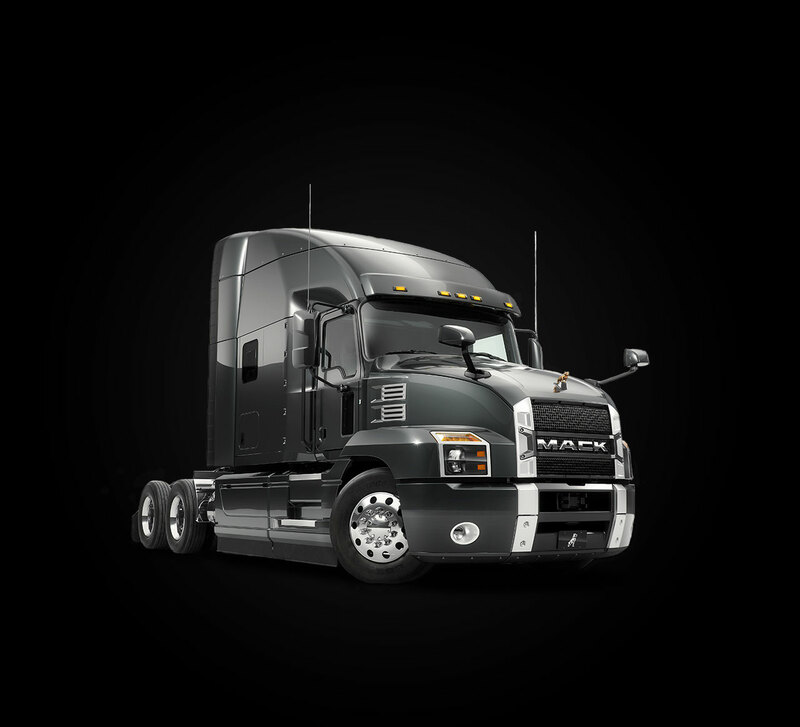 We built the the Mack Anthem™ 70-inch StandUp Sleeper with 35% more space to give drivers plenty of room to get comfortable, rest well and stay focused on the road. Cabinets, work spaces, under-bunk bins—configure Anthem’s best-in-class storage for as much or as little as you need to store. Dimmable pipe light around the perimeter of the driver environment, bunk task light, reading lights and overhead lights are all bright, long-lasting LED. Sleeper windows feature self-contained built-in blackout shades.The screened windows tilt out to let air in and keep rain out. Versatile configurations behind the driver and passenger seats, including a pullout surface, create a comfortable space for a meal or catching up on email. Opt for a spacious, stainless steel refrigerator or choose from prep kits—including power outlets—for a refrigerator, microwave or flat-screen TV. Access power outlets and ports and control the sleeper stereo, interior lighting and high-performing HVAC from one convenient panel. 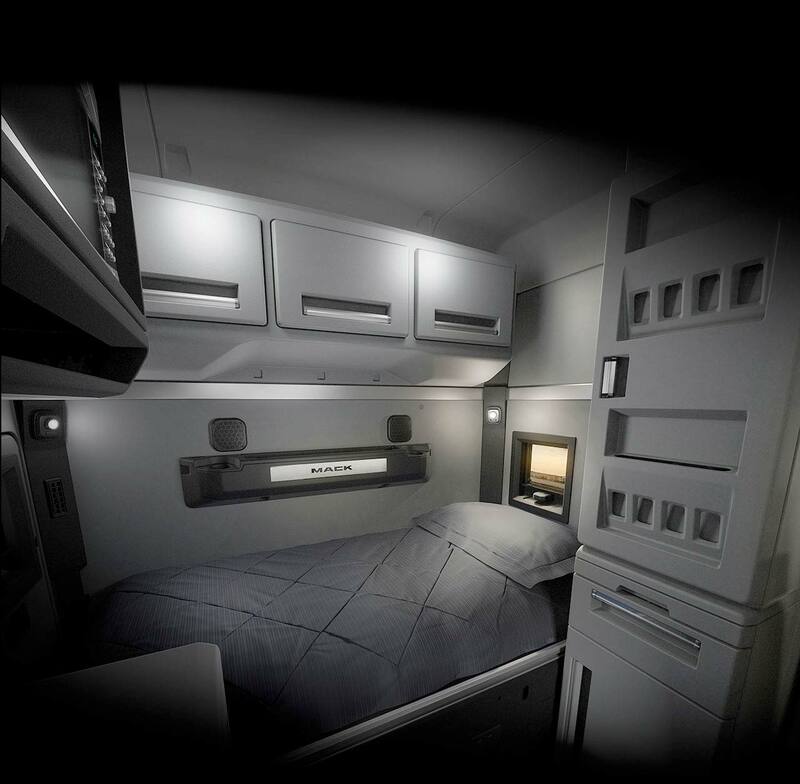 Anthem’s generous ceiling height of 6'11" at the driver’s seat and 7’1" in the rear of the cab lets drivers stand up and walk right through to the sleeper.